Give your casual wardrobe a stylish lift with this tee from Rocky Star. 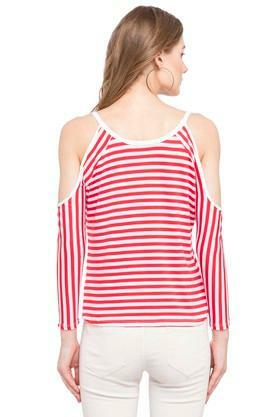 Fashioned using good quality fabric, this tee will not fail to catch your fancy at a single glance. 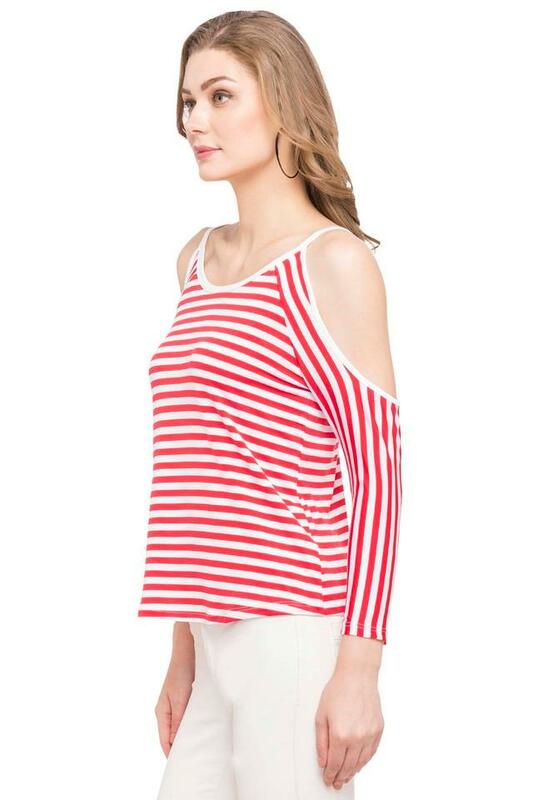 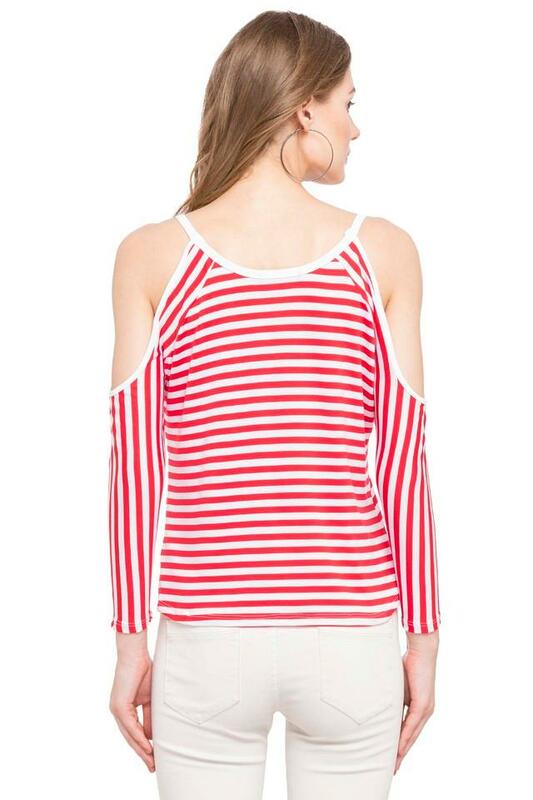 Featuring a round neck, cold shoulder sleeves and stripes pattern, this tee holds an elegant appeal. 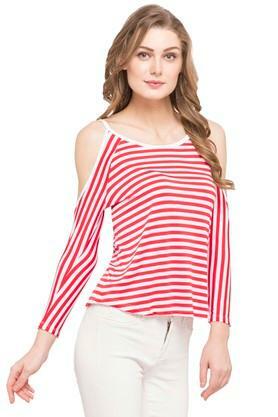 Fall in love with the soft texture as you adorn this tee. Team it with a pair of colorful sandals and a jeans to complete the casual look.